Werrington skipper Ben Smeeth believes his side's hard work has paid off after sealing their first Cornwall Premier League title by beating Camborne. 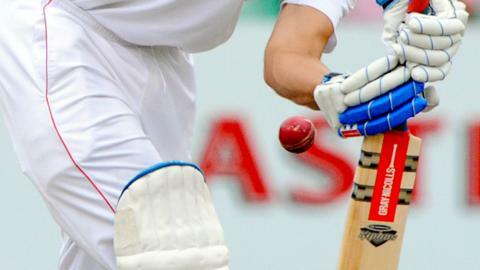 Needing seven points to ensure the title, they left nothing to chance, beating Camborne by eight wickets. "We've worked so hard to get this, we've put so much into this," Smeeth told BBC Radio Cornwall. "Although we've been close these last few years, it's just nice to get over the line and to do it with a good win." Werrington skittled out the hosts for 137, with Seb Street taking five wickets. Camborne caused some early nerves, taking two early wickets, which brought Alex Smeeth to the wicket to join his brother Ben. The pair both scored half-centuries as they shared an unbroken century stand to win by eight wickets and spark wild celebrations. Smeeth continued: "We're very lucky. We're such a strong club, we all stick together. There's such good team spirit, I'm just delighted for everyone."